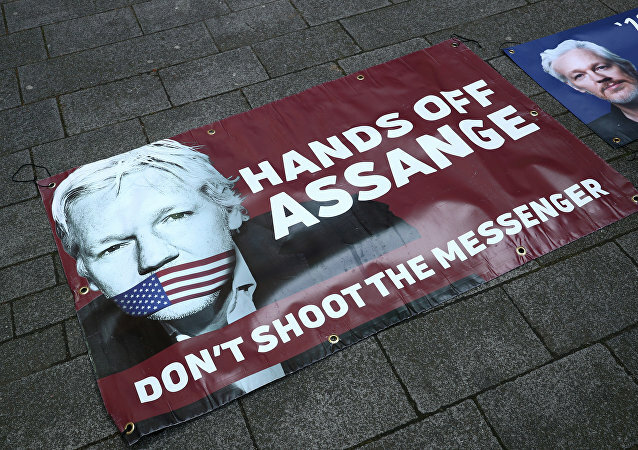 LONDON (Sputnik) – A press secretary of the Russian Embassy in the United Kingdom characterized on Friday media reports about alleged links between founder of the WikiLeaks whistleblowing website Julian Assange and Russia as insinuations. 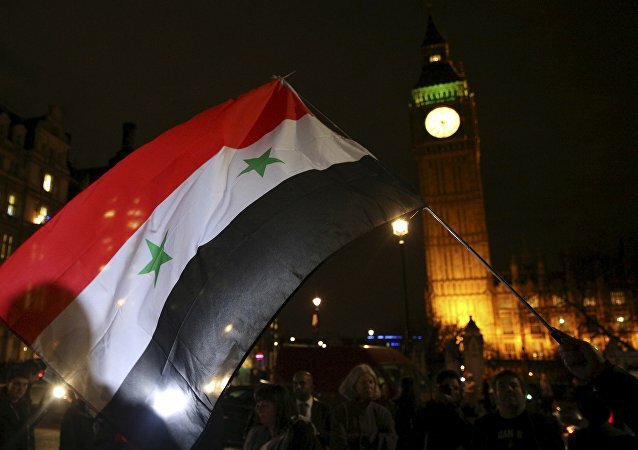 LONDON (Sputnik) - The United Kingdom and its allies strive to preserve their chemical laboratories to stage further provocations, a spokesperson of the Russian Embassy in London said on Thursday. MOSCOW (Sputnik) - Employees of the UK Embassy in Russia will provide, if necessary, consular assistance to two UK nationals detained in Moscow the day before, the embassy told Sputnik on Monday. LONDON (Sputnik) - The Russian Embassy in the United Kingdom is ready to meet with the son of Dawn Sturgess, a UK woman who died last July after allegedly being poisoned with a military-grade nerve agent in the city of Amesbury, in order to explain Moscow's official position on this case, the press officer of the embassy said Sunday in a statement. LONDON (Sputnik) - The Russian Embassy to the UK has sent a note to the UK Foreign Office in connection with the publication of an interview with the parents of Dawn Sturgess, a woman from Amesbury, believed to be poisoned with the same toxin that left Sergei Skripal in coma for weeks. MOSCOW (Sputnik) - The Russian Embassy in the United Kingdom on Sunday called an incident involving the unfurling of a Russian flag on the walls of Salisbury Cathedral, "a well-staged provocation." LONDON (Sputnik) - The Russian embassy in London on Friday hit back at UK Foreign Secretary Jeremy Hunt for calling Moscow a threat to the rules-based international order. 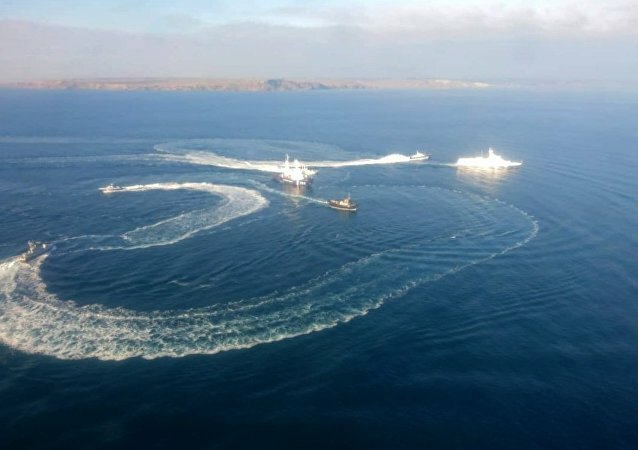 LONDON (Sputnik) - The UK government encourages Ukraine’s aggressive rhetoric on Russia, ignoring the fact that Kiev has illegally crossed borders of Russian territorial waters in the Kerch Strait, the Russian Embassy in London said on Wednesday. LONDON (Sputnik) - Russia is ready to engage in dialogue on cybersecurity with the United Kingdom, while the United Kingdom keeps putting "reckless" and "provocative" accusations against Russia, thus increasing anti-Russian rhetoric, the press officer of the Russian Embassy to the United Kingdom said late on Monday. 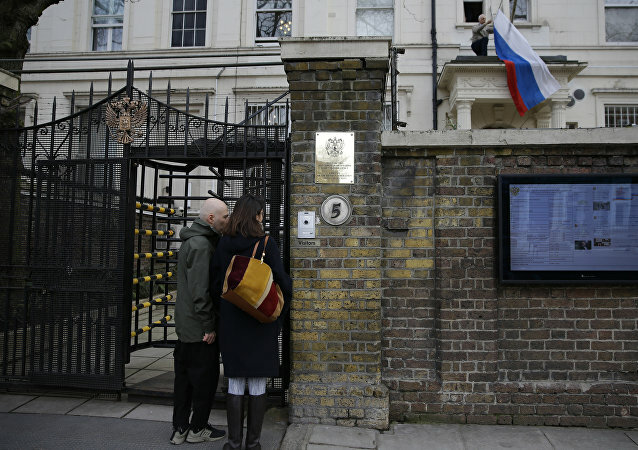 LONDON (Sputnik) - UK reports claiming half of Russians living in the country are spies serve to sow mistrust in the Russian embassy, the diplomatic mission’s spokesman told Sputnik. LONDON (Sputnik) - Former UK Foreign Secretary's calls for dialogue with the Saudi authorities after the murder of Khashoggi showcase double standards of London's foreign policy, the press officer of the Russian Embassy to the United Kingdom said. The statement comes a day after the UK Foreign Office accused the Russian military intelligence service of plotting cyberattacks on British soil. LONDON (Sputnik) – The UK authorities are refusing to cooperate with Russia on investigation into the death of Nikolai Glushkov, the former top manager of Russian flag carrier Aeroflot, and focusing on leaking to press the theories comfortable for the US government, a press secretary of the Russian Embassy to London told Sputnik on Saturday. LONDON (Sputnik) - Russian Embassy in the United Kingdom criticized UK media on Wednesday for promoting the idea of countering the alleged threat from Russia in the Arctic via ​​a military build-up in the region. MOSCOW (Sputnik) - The discipline of NATO does not let the alliance’s members to strongly pressure London to release proof on Salisbury incident which would back its accusations against Moscow, Russian Ambassador the United Kingdom Alexander Yakovenko said. 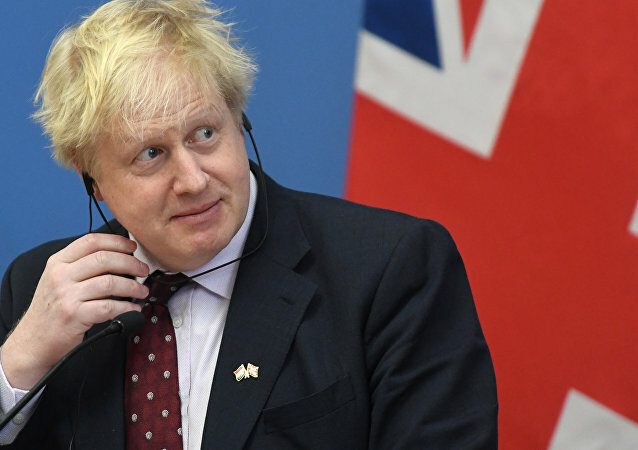 Russian Ambassador in London Alexander Yakovenko said on Saturday that he hoped that the meeting with the United Kingdom's new foreign secretary would take place soon. The UK-initiated procedure of verification of the Amesbury nerve agent lacks transparency, does not correspond to chemical weapons convention, the Russian Embassy said. 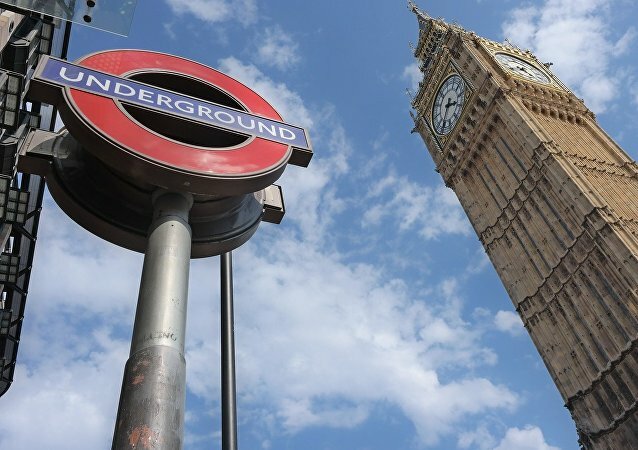 LONDON (Sputnik) - New legislation proposed by the UK Home Office on increasing security measures on the country's borders to investigate "hostile state activity" in light of the Salisbury attack, in fact, translated baseless accusations into law, a spokesman for the Russian Embassy in London said on Friday.